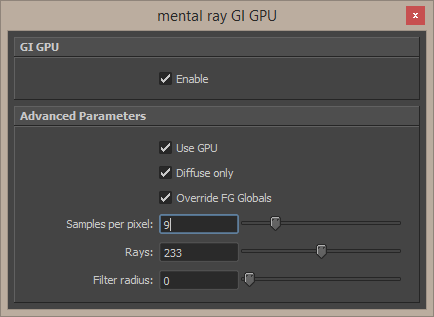 As previously posted, a prototype of the new GI scheme for mental ray was included with Maya 2015. Often the end users may not be able to provide a complete set of application objectives, detailed input, processing, or output requirements in the initial stage. After the user evaluation, another prototype will be built based on feedback from users, and again the cycle returns to customer evaluation. The cycle starts by listening to the user, followed by building or revising a mock-up, and letting the user test the mock-up, then back. Since the completed feature is expected to become the replacement solution I suspect these limitations will be removed over time. Also, I am not using portal lights or the Environment Light (Native IBL). 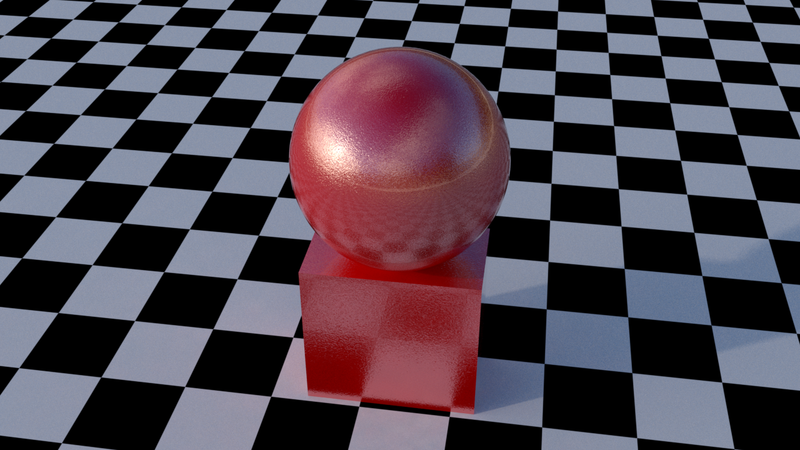 Instead I am allowing the new GI to sample the environment without casting more shadow rays and speeding up the render. This also means simplified setup for interiors where you can use the new technique (and a GPU) to power through a scene and render quickly. The brute force nature of the technique will provide you with crisp indirect shadows. Override FG (Final gather) Globals – The new GI can take its settings from legacy FG settings including ray depth (bounces) which is still set in Final Gather trace depth. Samples Per Pixel – this is the number of samples per pixel (Anti-aliasing) taken per pixel. This also acts as a multiplier of Rays. This number should be a square of another number: 1, 4, 9, 16, 25, 36, etc. Rays – Your primary control for quality. This is a brute force technique (at filter 0) where this number of rays is shot per pixel multiplied by samples per pixel above. Below are some examples of altering the settings. The filter parameter is improved from previous ways of filtering/interpolating GI results. As a convenience the measurement is in pixels. You should find this easier to smooth more quickly and easily than other methods. It also has a negligible impact on render time unlike increasing interpolation with Final Gather. In fact, less variance should improve render times since Unified Sampling works less to solve the image. Keep in mind that increasing values will blur indirect shadowing details. Open this in a new window to see the changes as they are subtle, blending away the noise. Please pardon the gif compression. Expect this feature to evolve dramatically over the next year as well as improve performance of both the GPU and CPU modes. 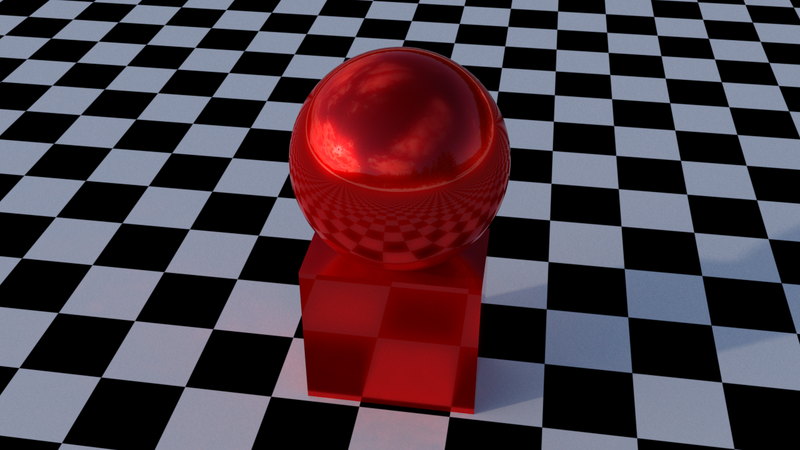 A Quality control for glossy reflection and refaction (to replace ray count). This handles these effects based on roughness and importance. (Changing the roughness of a surface no longer requires re-tweaking ray counts for smooth renders) Also includes a global scene control defaulted to 1.0 as a String Option This will allow developers to improve and change the algorithm without interrupting the user’s workflow. A new and improved flakes shader that will continue to evolve with more flexibility including cellular noise, different distribution, and shapes. Users can control weight, density, perturbation and more. Something to note about the flakes shader is the use scenarios are going to be beyond that of metallic flakes. Think of cosmetics packaging and snow for instance. Some more controls and a node-based design will help you to combine these in more ways. The previous issues with repeating patterns found in the flake shader have also been resolved. 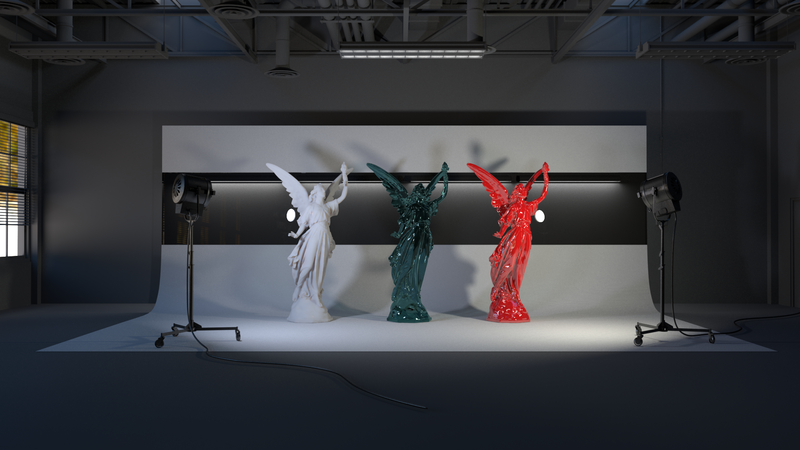 You can participate there and come back to the blog time to time to see other examples and explanations on the shader library. Components as separate building blocks for arbitrary layering. 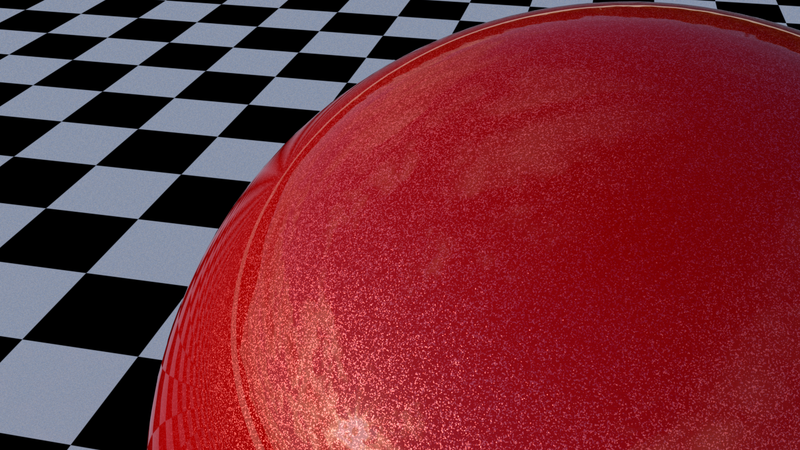 A single library can make shaders for many different things from car paint to skin and more. They are looking for images to use on the main banner, you can even try your hand at some images with the new shaders!